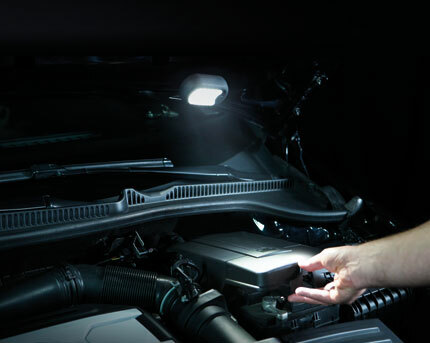 If you're struggling to see under the bonnet, in the garage or just generally in need of an additional light source for those hard to see areas then you need the LEDinspect® Mini 125 inspection lamp. 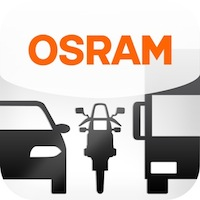 It has 24 high quality, long lasting cool white effect Osram LEDs, with a colour temperature of 6000K (Kelvin). 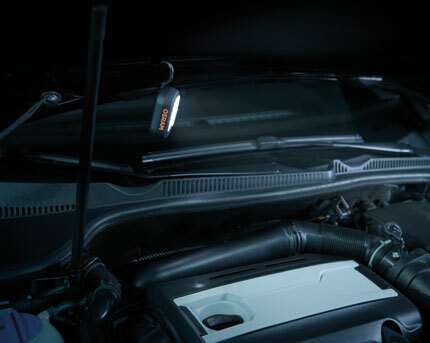 A small 360 degree rotating hook and a strong magnet on the back means it can be hung or stuck almost anywhere - even the smallest of spaces under a cabinet or bonnet. 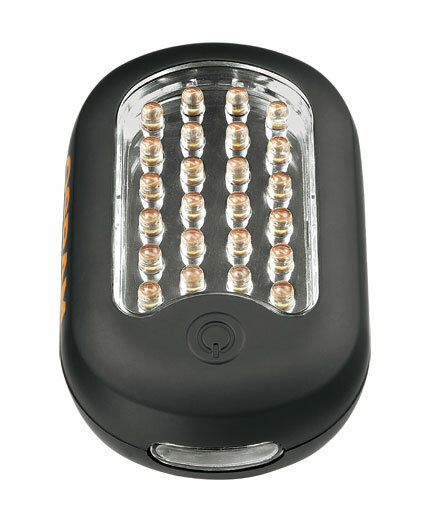 It can also be used as a torch, with three additional LEDs on the top. 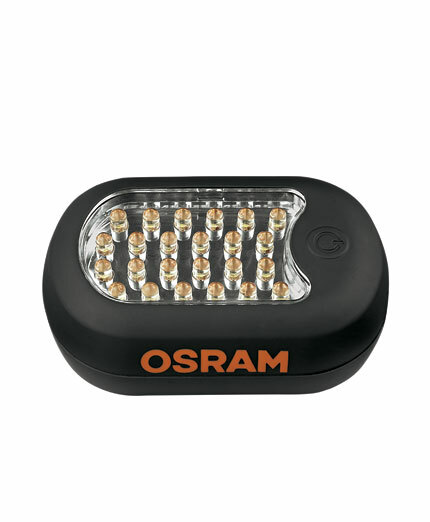 Its robust high quality makes it perfect for use in any workshop, car, tent or even in the home or when on the move. The durable, dirt resistant surface is easy to grip and fits neatly in the palm of your hand at just 9.8cm x 6.4 cm x 3.5cm. It comes complete with 3 x AAA batteries, so it is ready to use straight from the pack. 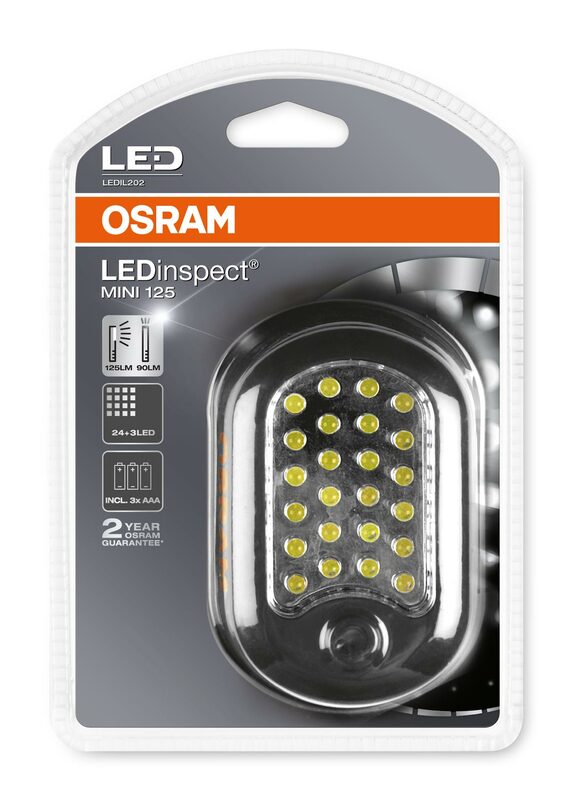 *In a recent Auto Express Product Group Test the LEDinspect Mini 125 Inspection Lamp was awarded the 'Best Buy' in the test. 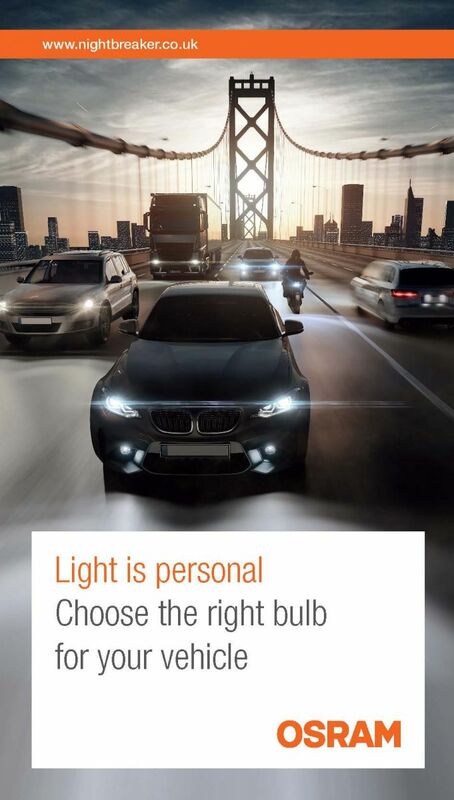 See Auto Express Issue 1,441 for details of the test.